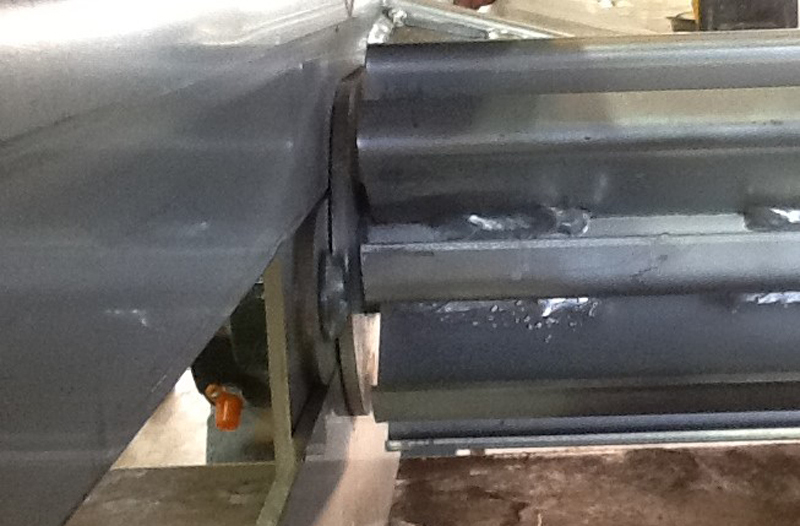 Stainless steel components increase conveyor/feeder life. 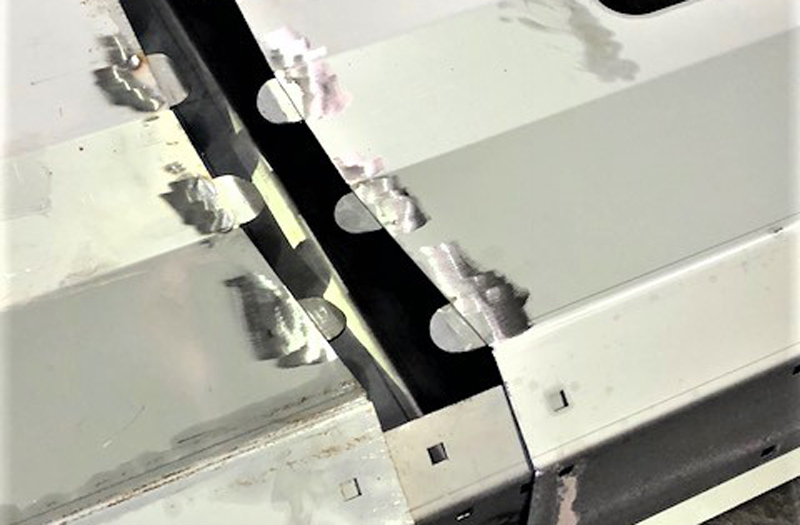 One-piece conveyor sections reduce assembly costs. 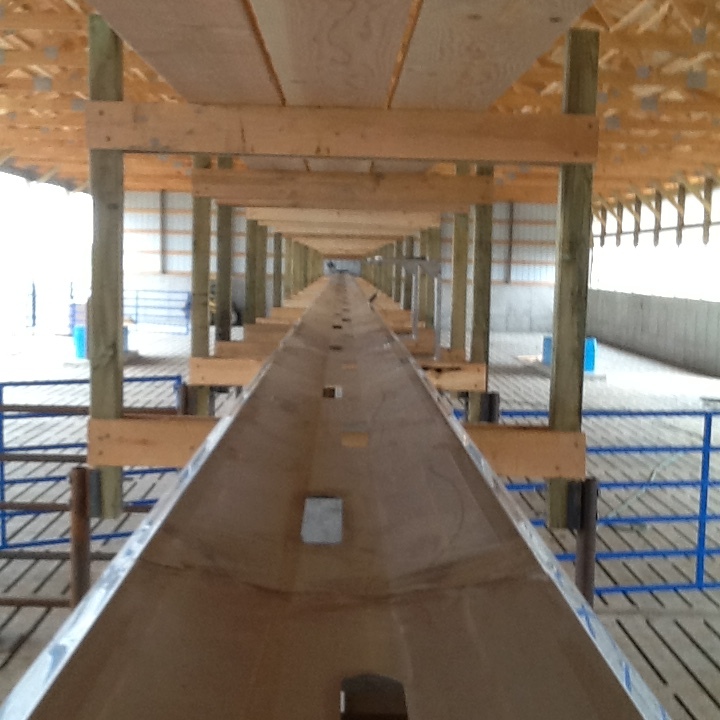 Built specifically for the livestock industry. 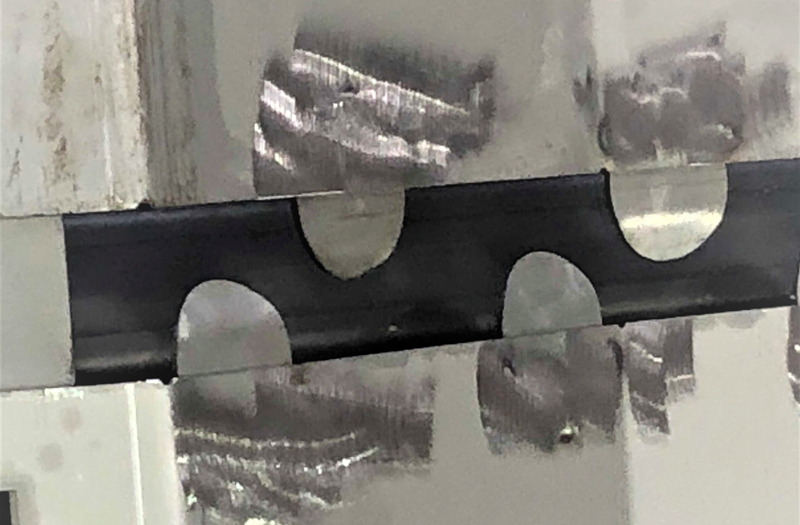 No drill conveyor clamps simplify assembly. 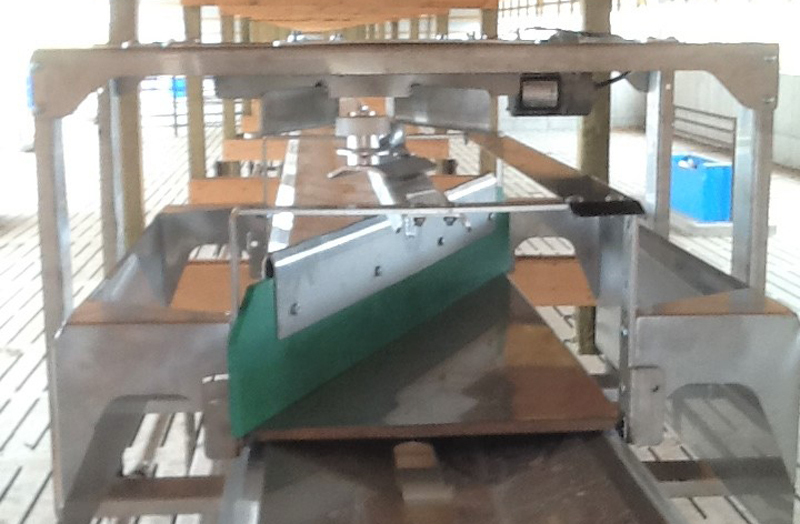 Competitively priced with galvanized and painted conveyors. 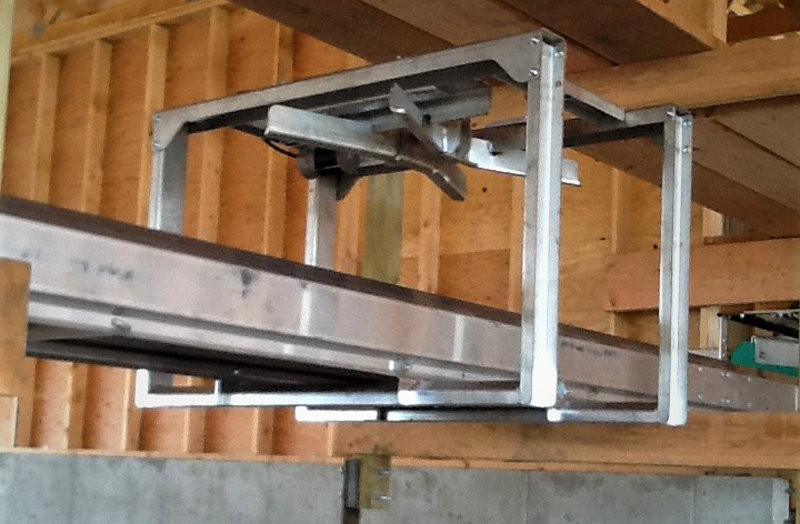 Tapered pan conveyors/feeders are available in 14”, 18” and 24” widths. 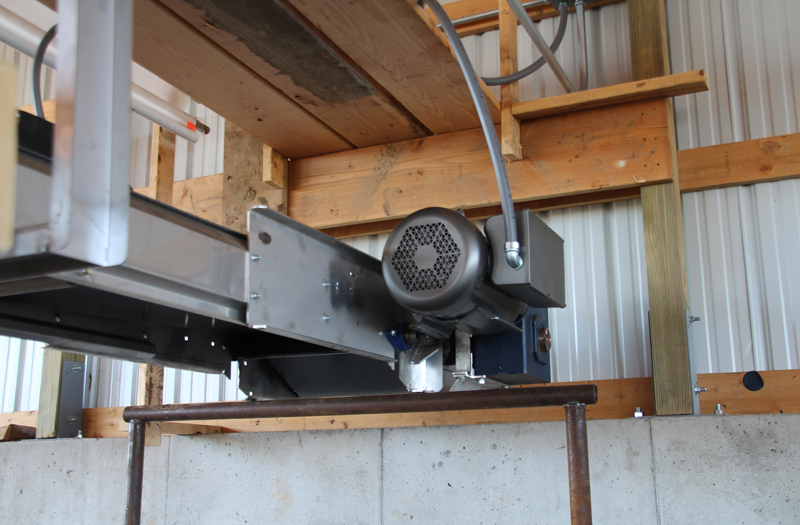 We have one motor and two motor feeders, with one way and two-way plows (A). 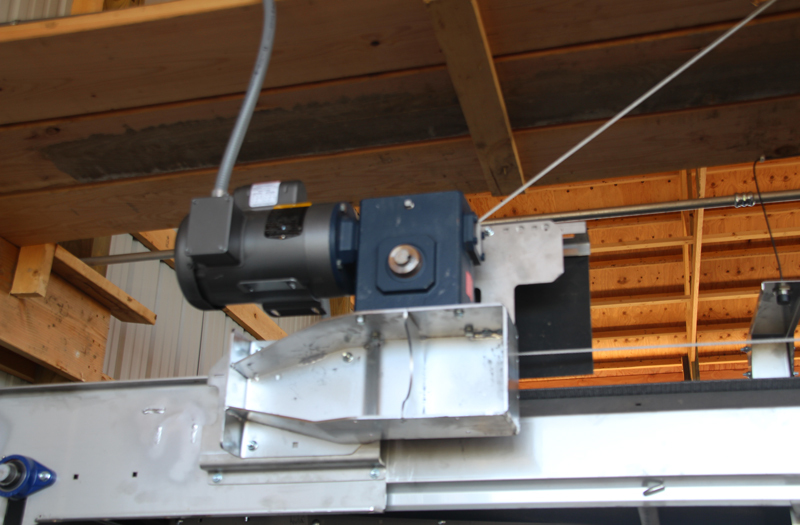 This allows us to have very competitively priced single motor drive feeders for one or two lots and two motor feeders for multiple lots. 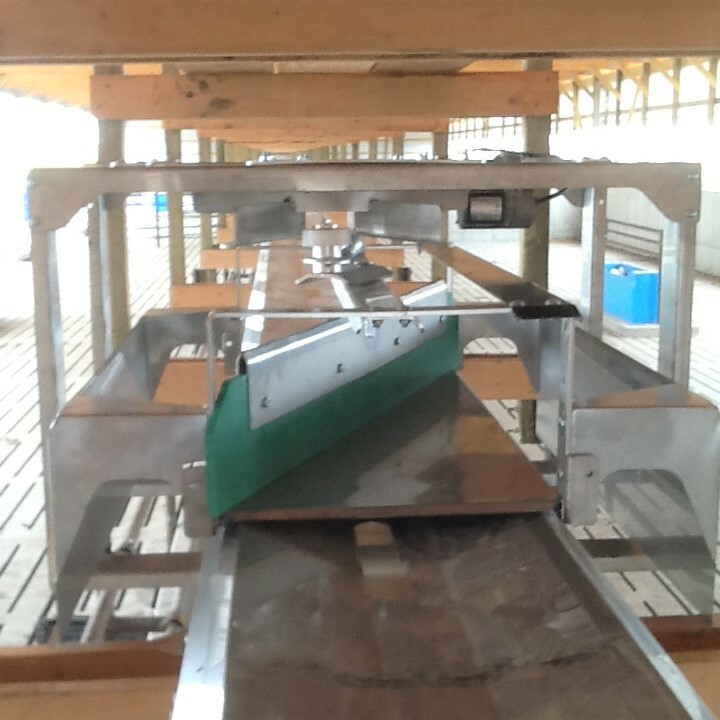 Our conveyors/feeders are nearly 100% stainless steel. 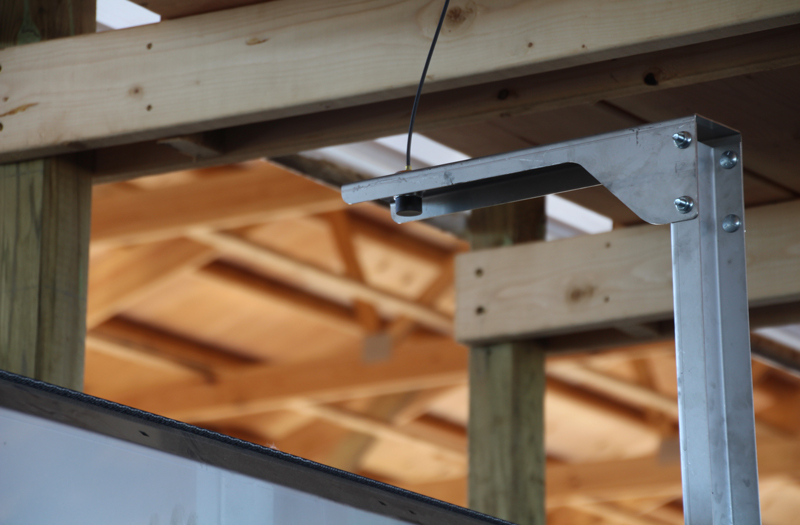 The only steel components that are not stainless are the drive shafts, a couple of brackets and some hardware. 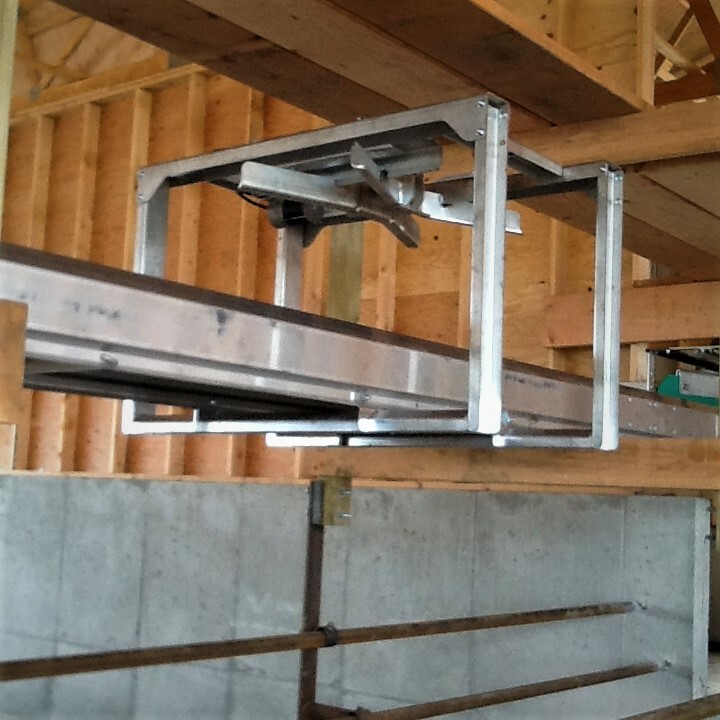 There are other stainless-steel conveyors available, but they tend to be in industrial markets and priced accordingly. 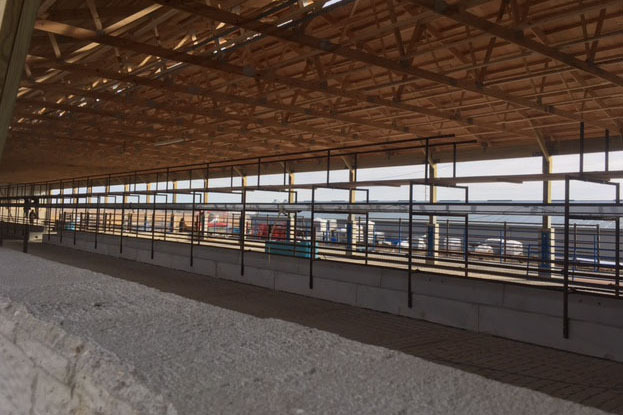 Ours are made specifically for the needs of the livestock industry. 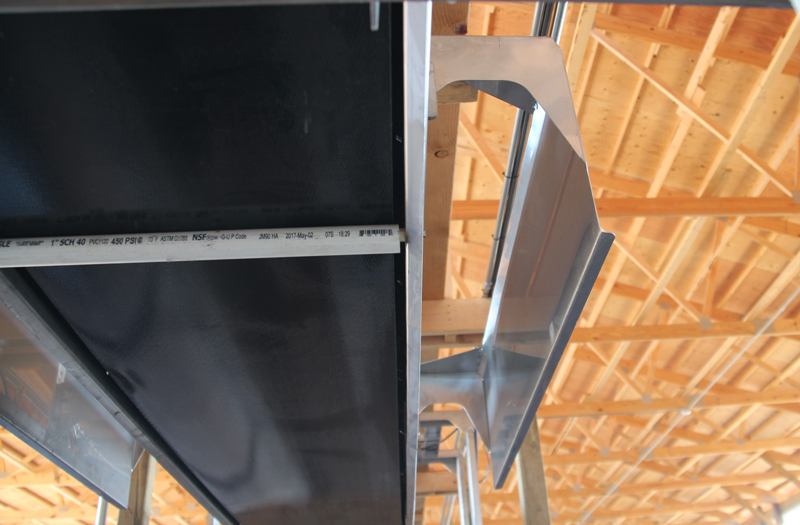 The conveyor panels are available in 10, 5 and 2 ½ foot lengths. They are one piece and do not have to be assembled. 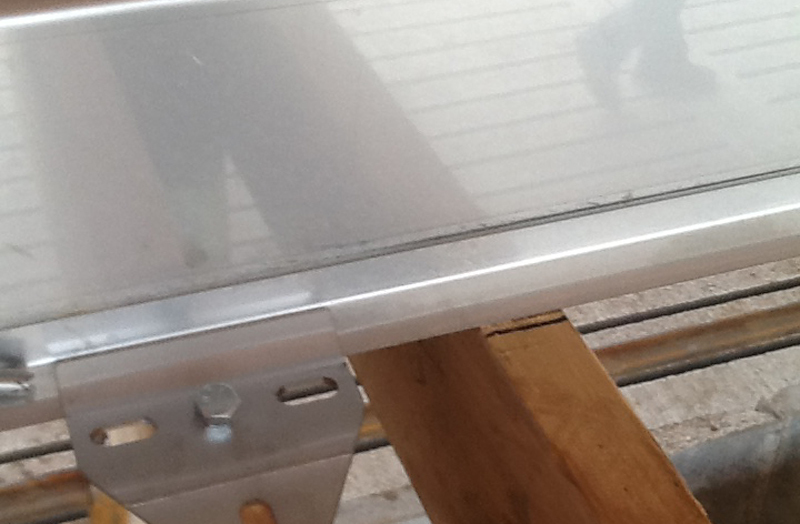 They have locking tabs (B1, B2, B3) on each end that aligns and strengthens the sections. 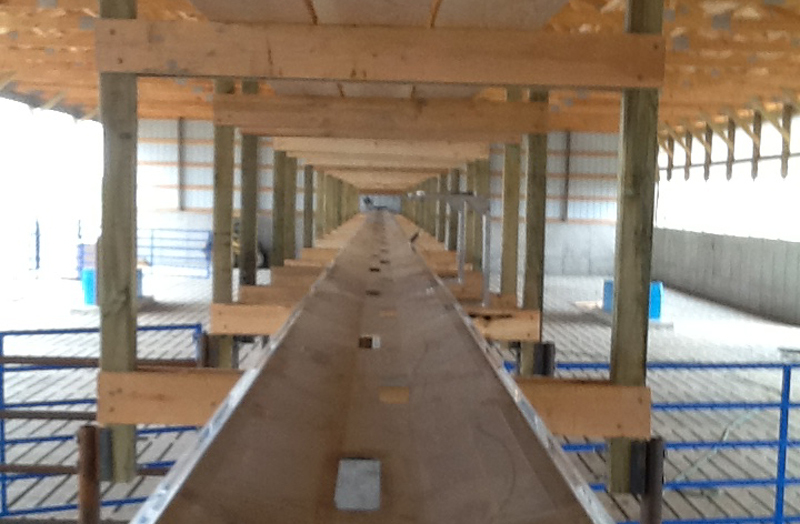 This greatly reduces assembly and installation costs. 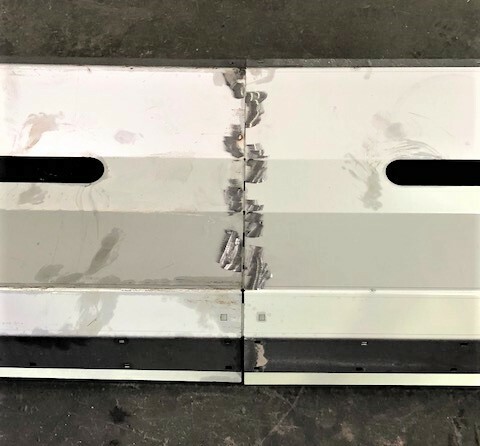 Built in stiffener rails (C) are fabricated on each side that add strength and reduce feed build up because there are no flat rails for material to hang on to. 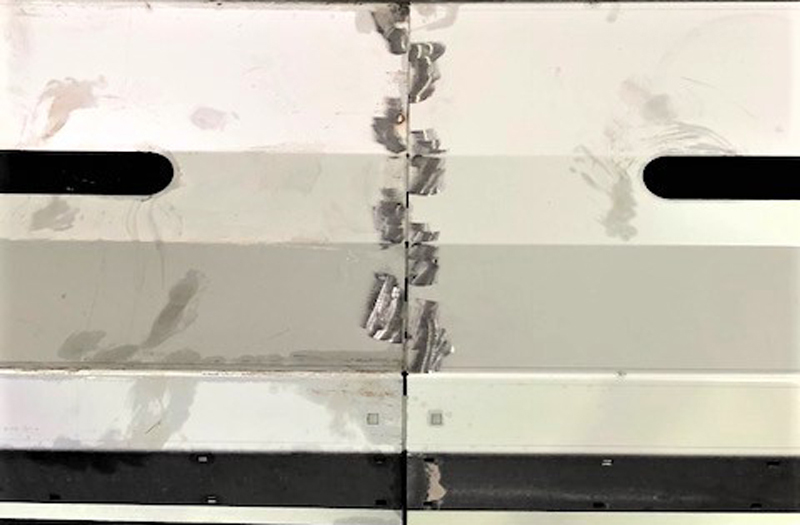 The sections are one piece and have clean out slots (D) built into the sections to reduce material build up between the belt and pans. The pans are tapered, which increases capacity and helps to contain the material on the belt. The dive and idler ends (E) have finned tapered pulleys to aid belt tracking and reduce feed build up. 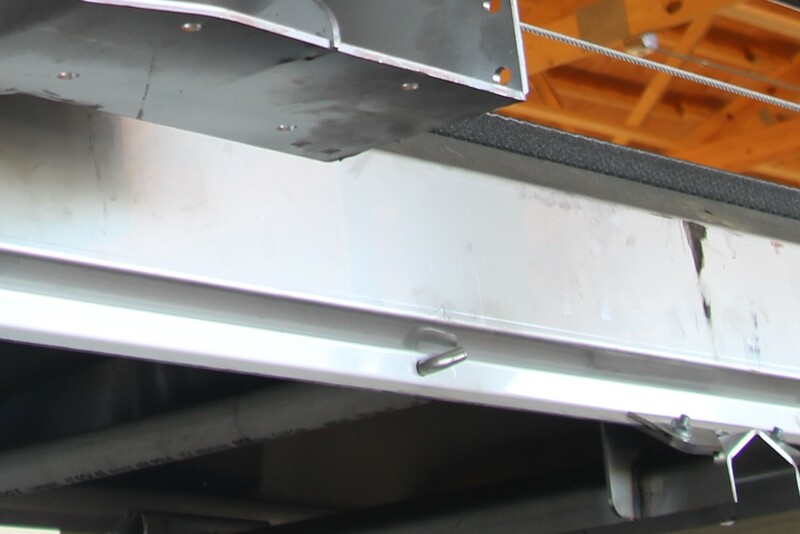 Our anchor clamps (F) can be positioned nearly anywhere on the conveyor sections. 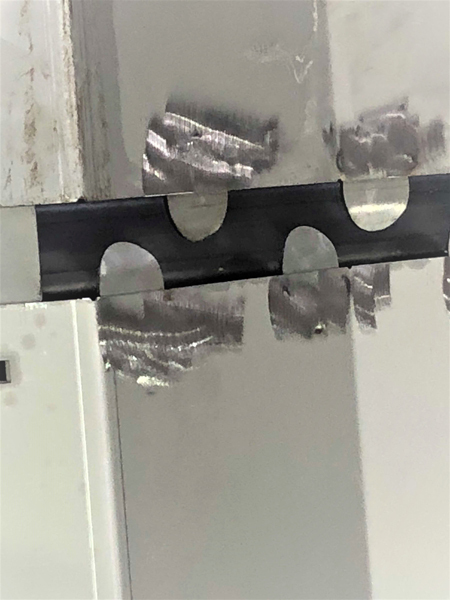 This eliminates having to drill holes into the conveyor sections to line up with conveyor supports. 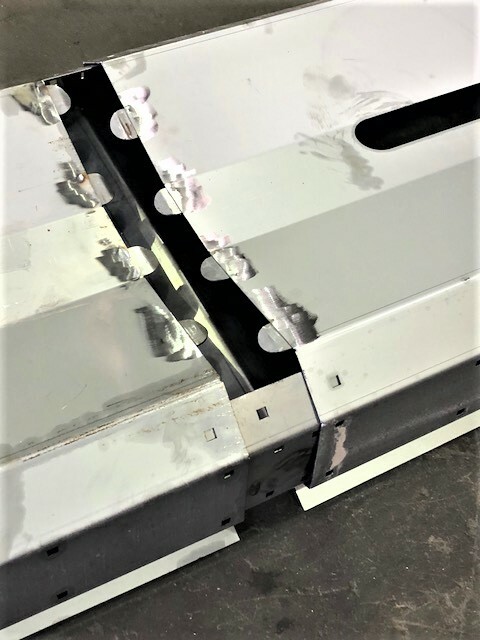 The clamps, tripper assemblies and nearly everything else (G1 thru G5) on our conveyor/feeders is made from stainless-steel.